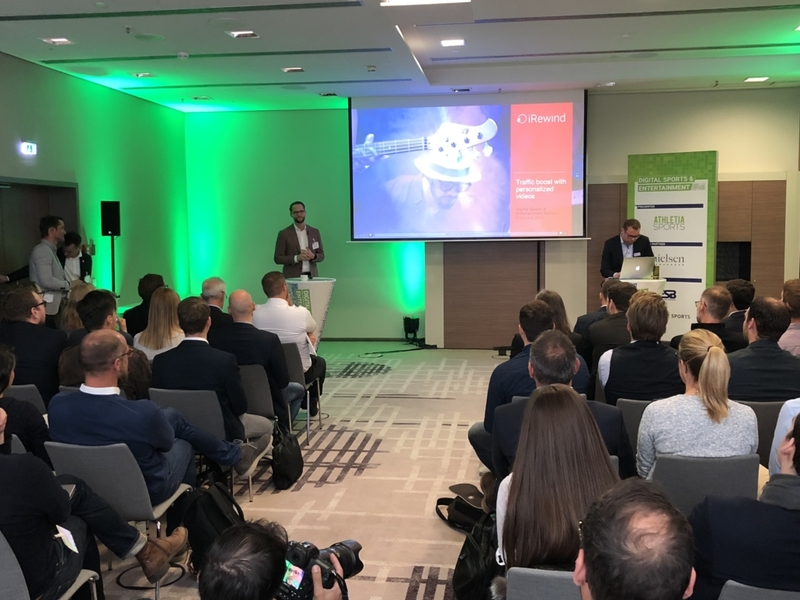 This year’s edition of the Digital Sports & Entertainment forum in Berlin was all about how the sports industry needs to adapt to a more and more digital landscape. While esports was one of the focus points of the two-day summit, social media and the changes in the media landscape formed another hot topic. Companies like SAP, Garmin or Gettyimages but also federations like UEFA and agencies such as WWP presented their views on today’s digital sports world and 16-year old Charles Barth shared some mind-boggling insights into Generation Z. Some key findings are that more and more original content is produced by new players for online channels, and no longer for classic TV. DAZN, Youtube or even Amazon to only name a few are tapping into a market that for the past 50 years seemed untouchable and dominated by TV stations. And ever more industry players are trying to create their own OTT (Over-the-Top) content. Full house at Nico Decurtins’ speech about how to boost website traffic with personalized videos. One thing that in almost every presentation became apparent: video is the number one tool not only to trigger social engagement, but also to increase reach. That can only be achieved if the content produced is relevant, as this is what boosts watch time which in return boosts opportunities for companies to engage with their target audience. It was therefore only fitting that iRewind got to talk about personalized video solutions as a digital activation tool for sponsors, event organizers and agencies. As part of the “Brands & Content” forum, we highlighted the key benefits of using personalized videos. The audience was intrigued to hear how they can help generate leads, increase earned media or drive more traffic to the website. Judging from the large crowd in the sold out auditorium attending the presentation, the topic hit home and we look forward to enabling more clients to tap into the digital world and using video solutions to efficiently and effectively target their customers and prospects and create measurable ROI. Because at the end of the day, we all want relevant content, don’t we?